Young Maris has been summoned to his mother's bedside as she nears the end of her life; she feels she must tell him her version of their family history, the story of his early life, and the ways in which he changed the lives of others. Maris was born with what some might call a blessing and others might deem a curse: his very large, very special ears enable him to hear the secrets of the dead, as well as the memories that haunt his Latvian hometown. Nestled in the woodlands on the banks of the Aiviekste River, their town suffered the ravages of war, then the cold shock of independence. As a boy, Maris found himself heir to an odd assortment of hidden letters; a school project provided the chance to share them, forcing the town to hear the truth from the past and face what it meant for their future. 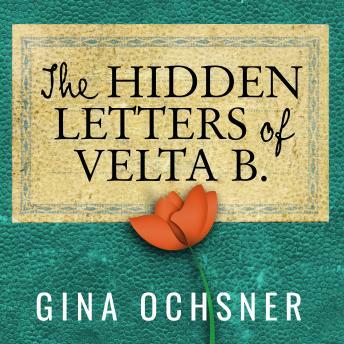 With "luminous writing [and] affection for her characters" (New York Times), Gina Ochsner creates an intimate, hopeful portrait of a fascinating town in all its complications and charm. She shows us how, despite years of distrust, a community can come through love and loss to the joy of understanding-enabled by a great-grandmother's legacy, a flood, and a boy with very special ears.